His rags-to-riches story could make a film. Nikita Puri meets Musthafa P C, the man behind ready-to-use breakfast foods that countless Indians trust. A few years ago, Bengaluru-based Musthafa P C received what could have been the gateway for a substantial payday. A reputed five-star hotel chain had approached him to supply them with thousands of packets of 'diamond cuts', a snack almost as popular in Indian homes as the ubiquitous samosa. This was around the time that iD Fresh Food, Musthafa's enterprise, had just started selling fresh, ready-to-use idli and dosa batter in Bengaluru. Musthafa, now 45, had recently quit his job with FICO, a data analytics enterprise, and was struggling to make ends meet. Musthafa then approached the hotel's chef to better understand how they'd use the diamond cuts. It'd be the perfect bar snack, he was told. But Musthafa was uneasy about being associated with the business of liquor, even in the faintest of ways. He turned down the offer. "I felt like crying," he recalls. "Not because we lost the order, but because the Almighty had given me the courage to take that decision." In retrospect that was the best decision, says Musthafa. It helped them decide who they were and what they wanted to be known for. The company's vision suddenly became crystal-clear: simply, to assist homechefs in kitchens across India. Over the last few years, countless homes in Bengaluru, Mangaluru, Vijayawada, Chennai, Hyderabad, Mumbai, Pune -- as well as in Sharjah, Dubai, Abu Dhabi -- have begun their days with home-style, fresh, preservative-free breakfast products from iD. The contents of iD's attractive zip-locked bags have an average lifespan of four-seven days, and range from ragi (finger millets) dosa batter to batter for the relatively grainy Udupi idlis and ready-to-cook Malabar parottas. The brand's popularity in finicky Indian kitchens owes to a culture of consistency and quality, unlike the unmarked packets or smaller brands also available. Amongst working professionals and generations who grew up without learning their grandmothers' culinary skills, iD is a godsend. As brand guru Harish Bijoor puts it, "When someone else can make it all just right, and that too at the right price, why would you want to do it at home?" With backing from Helion Ventures and Premji Invest, iD Fresh Food now has a revenue of Rs 2.75 billion and aims to be a Rs 10 billion business in the next few years. 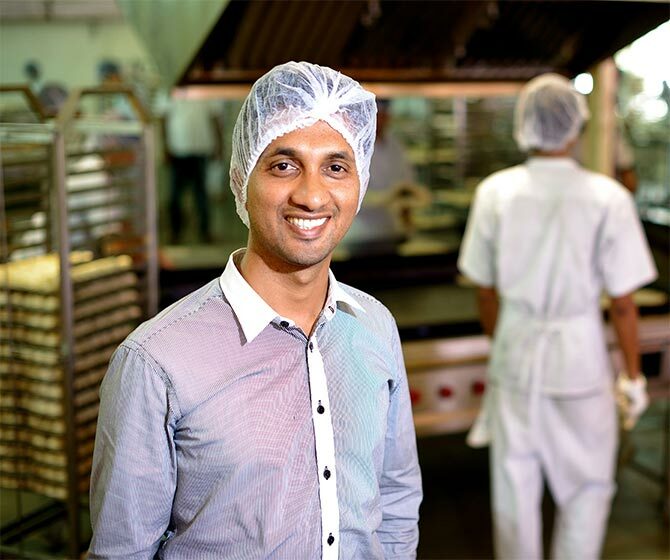 Musthafa's foray into the ready-to-cook sector started in 2005, in Thippasandra, a bustling locality near Bengaluru's upscale Indiranagar where his cousins ran a small grocery store. They'd see customers buying idli and dosa batter and realised there was a market for this. Rubber bands held the batter -- and the occasional cockroach -- inside those unbranded bags, recalls Musthafa. Along with his cousins Abdul Nazar, Jafar T K, Shamsudeen T K and Noushad T A, Musthafa spent the next nine months in a 50 sq ft kitchen in Thippasandra, talking to mothers and grandmothers and learning the art of making the perfect idli-dosa batter. None of the young men knew how to cook. "After that we'd go around on a scooty, delivering the batter door to door," he recalls. Once they started selling about 100 packets of batter a day, Musthafa knew the business would take off. Two things helped seal iD's success. "We scaled up from a family business, and brought in several professionals," says Musthafa. Secondly, but not less significantly, iD teamed up with a German company to develop a heavy-duty grinder. "The batter business is all about grinding rice and dal correctly," says Musthafa. 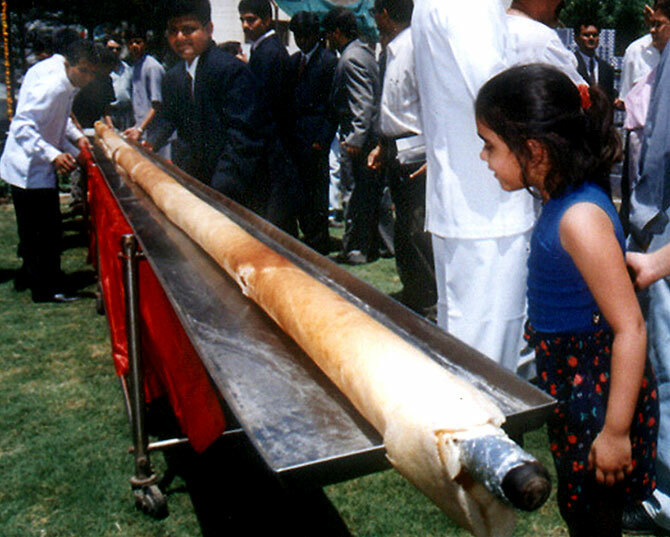 Traditional grinders can grind about 3kg of dal an hour. "Our break came when we developed grinders that can grind thousands of kilos every hour." iD's growth was also helped by the fact that many of Bengaluru's small grocery stores are owned by Malayalis, a network the Wayanad native could tap into. Says Bijoor, "To me, this is a case study of how you start small with right ambition. How you start with one product and then seek adjacencies of product expansion, without compromising on quality." Quality is a necessity, since Musthafa's three sons (8, 13, 15) are among the first to try every iD product. "It's a crunchy deep fried snack. It's somewhat like a savoury doughnut," Musthafa said earlier this year, explaining what a vada is to an audience at Harvard University where iD's success has become a case study. "It's a fantastic snack, but it's also one of the most difficult things to make for most." Musthafa was discussing the vada because friends and relatives had been sharing pictures of their latest culinary masterpieces — shapely exploits from vada-land. This was not long after iD had launched vada batter in a pack with a patented spout. Courtesy this innovative technique, the batter can be squeezed directly into a pan with hot oil, to get crisp vadas complete with the hole in the centre. The latest from iD is a decoction for filter coffee. Within a year, Musthafa expects to be offering all of this, and more, in North India, too. Breaking into the breakfast segment and setting the bar for it is an emotional business for Musthafa. "Breakfast was a luxury while I was growing up," he recalls. His father Ahmed worked as a coolie at a coffee farm where a single shift paid him Rs 15. There was never enough money to feed the family of six. Today, Musthafa's company makes 55,000 kg of batter daily. "That's 1.3 million idlis every day," he says. To assist his family, Musthafa turned entrepreneur young. At the age of 10, he would set up makeshift shops and sell sweets on weekends and during summer holidays. His next entrepreneurial venture was a second-hand car purchase portal in Dubai, which did well till the dot-com bubble burst, he says. A graduate from the National Institute of Technology, Calicut, Musthafa also worked with companies like Motorola, Citibank and Intel. D V R Seshadri, now a professor at the Indian School of Business, Hyderabad, remembers Musthafa as a quiet man. "He was wide-eyed and observant. But most of all, he had a tremendous idealism," he says. Seshadri first encountered Musthafa when the entrepreneur was studying for an MBA at IIM- Bangalore and Seshadri was a visiting faculty. But Musthafa had already travelled a long road to get there. He remembers the only reason he attended school was because they provided a midday meal. Later, a scholarship from a non-governmental organisation helped put him through college. Now that Musthafa can, he gives back to society whenever possible. "Musthafa brings in unskilled people from villages and trains them at world-class facilities," says Ashok Dhingra, a director at iD and Musthafa's mentor. "Musthafa has built economically viable homes for people who were living under tarpaulin sheets in Kodagu. It started with 20, then it became 50, then 100. He never talks about his philanthropy and doesn't want publicity for it." Seshadri recalls how he was moved to tears after he read Musthafa's paper titled 'Reflections' for his class. "Not only had Musthafa talked about the hardship of his childhood days, he had also written about wanting to be a true Muslim whose duty it was to be of service to humanity." Musthafa's rags-to-riches story is the stuff of books and films. "It is a good story," says Bijoor. "These stories count after success has been achieved, and not before. These are brand props, but not strong enough props to build or hold up a brand. Musthafa must not get lost in these as well." Musthafa is currently busy trying to make iD's packaging more environment-friendly. As Bijoor points out, this is an achiever of no mean substance.